Medicare Advantage or “Part C” plans are Medicare benefits offered through private companies who have been approved by Medicare. These are the private insurance companies that are contracted annually with Medicare to provide the benefits to you. You are still paying your Part B Premium but Medicare is not directly providing your coverage. 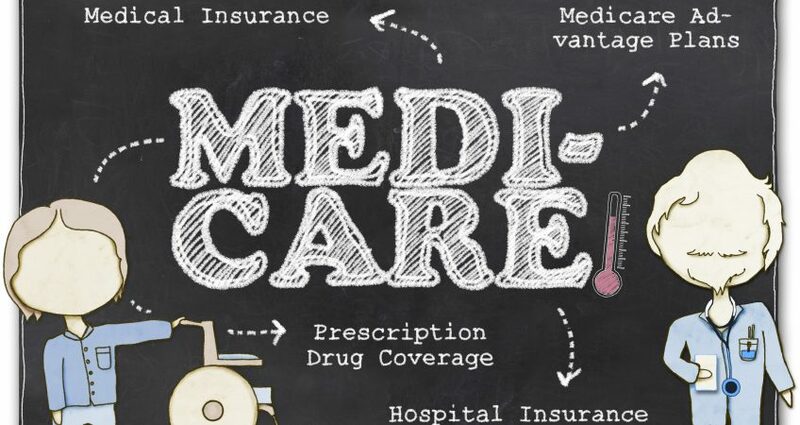 The Medicare Advantage Plans, also called “MA Plans”, have to provide the same types of services as Medicare, but they do it in a different way. I compare these plans to group insurance. You have co-payments for almost all of your services: co-payment for doctor’s visits, co-payments for lab work, co-payment per day in the hospital, co-payment for your surgery. All of those co-payments add up to an annual out of pocket maximum. It could be $5000-$10,000 depending on if it’s in or out of network. Now these plans have very low premiums. You can have a $0 plan, $30, $50. The reason they can do that is because Medicare is giving them money in advance. They are paying the company to provide the benefits to you. You are subcontracted out to them. So they have low premiums because they got their money up front. But then you are paying as you go. Pay now, or pay later. It’s all about risk assessment. It’s insurance, you’re going to pay one way or another. These plans can often include drug coverage, so you’re still going to pay co-payments for your prescriptions. But your co-payment for your prescriptions do not apply towards that medical annual limit, they are two separate sections within the same plan. So with the Medicare Advantage Plan, you still have initial coverage, you still have the donut hole, you still have catastrophic coverage. Those phases still apply within the Medicare Advantage Plan. These Medicare Advantage plans are network based. You need to be aware that if you’re in an HMO and you go out of network, you do not have coverage. PPO’s do have in & out of network coverage. So Medicare Advantage is network restricted. Traditional Medicare is nation-wide. Now the Medicare Advantage Plans could have sister or reciprocal networks. If you are travelling, let’s say to Florida and you know you’re going to be there for a couple of months. You can call your company and say, “I’m going to be in Naples, Florida for a month. Where do I go if I get a cold?” They can make a note that you are now in-network in Naples, FL and they can tell you who to go to. If it’s an emergency it is always in-network; emergency and urgent care are always in-network. But if you got a cold, that is not life threatening. Understanding how the Medicare Advantage and Traditional Medicare plans work is the key to choosing the right plan for you. If you still have questions then feel free to reach out to us and we would be happy to answer your questions about Medicare Advantage and Traditional Medicare to help get you the coverage that best fits your lifestyle and preferences. Medicare Medicare 101 Medicare Advantage Medicare Facts Traditional Medicare What is Medicare Advantage?